This is a FUN Fan Chat site, Dedicated to ABC's hit show Once Upon a Time! This is a place for avid fans of Once Upon a Time to talk about theories, episodes, characters and pretty much anything else related to OUAT! "I'm a fan of true love, Dearie, and, more importantly, what it creates." Gnomish, intense, and crazy, he’s the malevolent trickster who can spin straw into gold is able to see the future and prefers his payment in the form of firstborn children. An expert on black magic and the dark arts, this creature has wizardly powers to make him a fair match for anyone in the land. He is one of the most feared beings in Fairytale Land and is notorious for his deals. He is the Dark One, the greatest deceiver in a land where things are rarely what they seem. If you’ve found yourself in a deal with Rumplestiltskin, your luck has just run out. Magic always comes at a cost, and everyone foolish or desperate enough to make a deal with him finds this out the hard way. 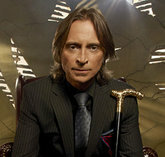 Even after the curse, he continued to lord over the people of Storybrooke as the enigmatic Mr. Gold. Storybrooke's wealthy resident whose influence seems to know no limit. However, Rumplestiltskin was not born with such power. Once a simple man of meager means, his love for his son Baelfire drove him down the path toward darkness. Still, love may yet prove to be Rumple’s redemption—his feelings for Belle have begun to reawaken the man he used to be. Someone who has always made the wrong choices, Rumplestiltskin may still have a chance to set things right. 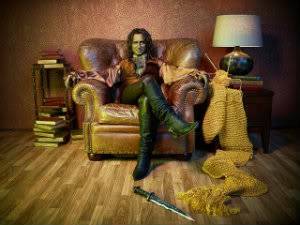 "Rumplestiltskin is fun to play... it takes me back to my childhood." "Mr. Gold is not to be trusted... by anyone." BeautyIsSleepingIn wrote: i LOVE the scene in his shop with belle and she calls him out for lying to her and she talks about how she thought he had changed and his responce is "uhg, what in the hour you've known me?" he sounded so disgusted it cracked me up. Love that too! I have heard that from soooo many people! GREAT WRITING FOR SURE! i LOVE the scene in his shop with belle and she calls him out for lying to her and she talks about how she thought he had changed and his responce is "uhg, what in the hour you've known me?" he sounded so disgusted it cracked me up. Look at how much he WANTS to kiss her! Oh the Passion! I wish he would kiss me, ahhhhh :oops: ! HAHA! I mean, Wiley!!!!! Hey, I don't like a cheater and I felt ashamed for being a #Chamings but now I am PROUD again knowing the love is not tainted! LOL! Yes i noticed that also. It did look like the same necklace. SW7_PC2 Sorry, what I mean is I was asking Noortjj where did Rumple thrown it into the well in the promo because I didn't see that. I also thought potion vial was the only thing he drop in the well, I didn't see anything else get drop in there. hermione982175 wrote: @SW7_PC2 That a good idea about the necklace thing. So Rumple probably will be leaving Storybrooke than. Also which promo show Rumple throwing in the necklace? He is HOLDING the necklace in that one where it also has Revenge and 666 Park Ave mixed in. @SW7_PC2 That a good idea about the necklace thing. So Rumple probably will be leaving Storybrooke than. SW7_PC2 wrote: Comment to the poll above, I didn't vote for this choice, but after re-watching the Finale (or Apple as Red) I think Gold will leave to find Bae, remember he tells Regina, He is planning a trip....so I think he may actually leave to find Bae. YES! The globe was put in the direct shot a few times! I really do believe he will leave SB to find Bae...because how would Bae even know his father was there, he left WAY before the curse! Noortjj wrote: Isn't it the same necklace you see him throwing in the well (in the promo of OUAT)..? Isn't it the same necklace you see him throwing in the well (in the promo of OUAT)..? hermione982175 wrote: When I watch that part where Mr. Gold turn into Rumple, he holding a necklace thing. I think that necklace thing is going to play an important part in season 2 with magic. Maybe it is like a beacon, that works with magic, like what he did to PC's moms ring to find Snow...maybe it finds Bae...Also why he told Regina he was Taking a trip soon.. Comment to the poll above, I didn't vote for this choice, but after re-watching the Finale (or Apple as Red) I think Gold will leave to find Bae, remember he tells Regina, He is planning a trip....so I think he may actually leave to find Bae. It came out about 15 yrs. ago and is called, "The Full Monty". Oh yes, it was quite the FULL MONTY! HAHA! ;-) LOVE THAT MOVIE!